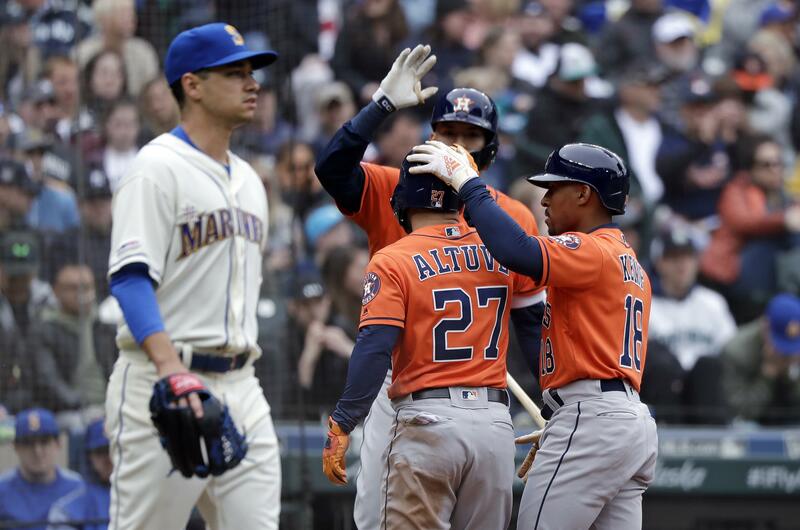 SEATTLE – Marco Gonzales’ first inning on Sunday lasted three minutes and seven pitches. The Mariners placed starting LHP Wade LeBlanc on the 10-day injured list with a Grade 2 right oblique strain. LeBlanc is expected to be out four to six weeks. Seattle recalled RHP Erik Swanson from Triple-A Tacoma on Sunday. Swanson is expected to take LeBlanc’s upcoming spot in the rotation on Wednesday against Cleveland. … The Mariners traded C David Freitas to the Milwaukee Brewers for minor league RHP Sal Biasi. … LHP Yusei Kikuchi (0-0, 4.15) is looking for his first major league decision in his fifth start as Seattle starts a three-game home series against Cleveland on Monday. Published: April 14, 2019, 4:25 p.m. Updated: April 14, 2019, 10:12 p.m.